Today’s sunset was awesome, but my attempt at capturing was less than great. I came home to edit the sunset photos, I realized something was very off and I had to go back out and find another shot for my 365. I hopped on Google Maps before I left my house and found this little hidden area I never even knew existed. It could be some type of boat dock or fishing area, I am not really sure. It was SUPER dark down there and I am definitely going back to do some light painting soon. 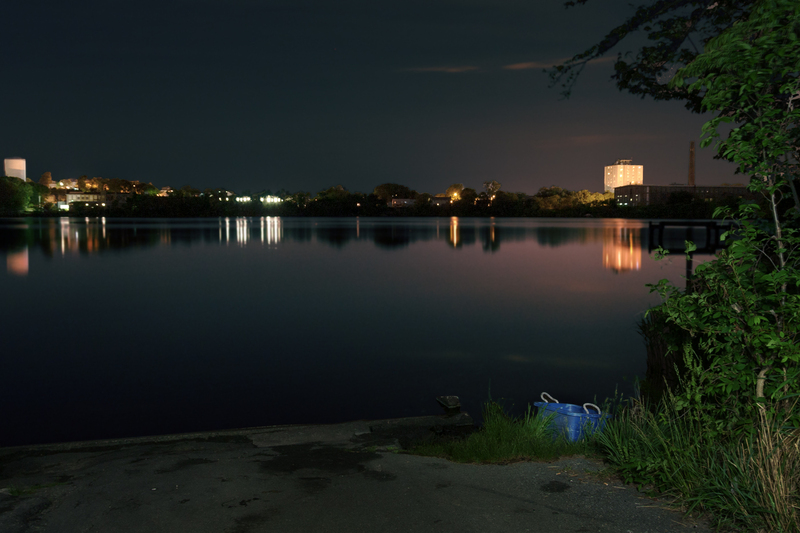 I aimed the camera towards the other side of the water and set the exposure time to 30 seconds. The results where ok, but the foreground was almost black and it needed to be re-framed. I then decided to re-frame the shot and use a flashlight to manually light up the foreground in the areas I wanted. I did it about 15 times and this was the end result, it is a little bland, but I am starting to get a hang of the light painting thing. I am also pretty happy I found a new spot for projects! Notice the fancy boat someone left behind there? Yay Fall River!